UST operator training in Texas is required by federal law and is intended to ensure that those who own and operate underground storage tanks understand how to operate and maintain UST systems properly. Texas Class A operators have primary responsibility for on-site operation and maintenance of a UST facility. This individual is generally the owner of the station or the designee. For large corporations, this person is the manager or designee responsible for tank operations. Texas Class B operators have responsibility for the day-to-day aspects of operating, maintaining, and record keeping of a UST facility. This individual (or individuals) is generally the owner or the person/company contracted by the owner to maintain the tanks. For large corporations, this person is the employee, or person/company contracted by the corporation to maintain the tanks. Texas Class C Operators are the first responders to emergency situations at a UST facility – like a gas station or convenience store. These individuals are usually the clerks of a facility. The Texas Commission on Environmental Quality (TCEQ) – Petroleum Storage Tank (PST) – State Lead Program is authorized by law to remediate sites where a release from a PST system has occurred. Release incident cases that are eligible for the program generally involve responsible parties (RPs) who are either financially unable or unwilling to conduct the necessary corrective action(s) at Leaking Petroleum Storage Tank (LPST) sites. Class A and Class B operators must complete a Texas Commission on Environmental Quality (TCEQ) approved operator training course or process. Approved Texas TCEQ Class A and Class B Training Provider – 360Training.com Reseller. The training of Class C Operators is facility specific and is the responsibility of the Class B Operator/s of a facility. Class C Operator Training programs must meet minimum requirements specified in TCEQ rule and may include in-class, hands-on, on-line or any other training format deemed acceptable by the Class B Operator. 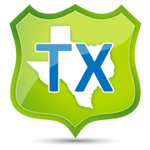 Approved Texas TCEQ Class C Training Provider – 360Training.com Reseller. The Texas Commission on Environmental Quality (TCEQ) adopted rules in August 2012 for UST systems to have designated and trained Class A, Class B, and Class C UST operators. Each Texas UST facility must have at least one named individual certified for each class of UST operator — Classes A, B, and C . One person may hold more than one operator UST operator classification. During hours of operation, at least one certified UST operator must be present at the facility at all times. 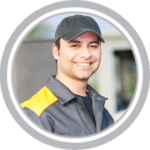 A Class A UST Operator has the primary responsibility of ensuring the proper operation and maintenance of a UST system. This role is typically filled by the facility owner, or a manager who acts in the capacity of managing resources and personnel . A Class B UST Operator has the primary responsibility of implementing all applicable requirements of these regulations in the field, including day-to-day aspects of the operation and maintenance of the UST system. These responsibilities include a detailed knowledge of all the components listed above for a Class A operator. Also, the designated Class B operator for a facility must ensure that all Class C operators at that facility receive the required training. This role is typically filled by the facility manager, or a person with technical expertise. A Class C UST Operator of a UST system must be trained in both general and facility-specific emergency-response procedures. Class A and Class B operators are responsible for maintaining the emergency procedures on-site for easy access by Class C operators. This role is typically filled by the facility clerks. Class A and Class B operators must complete a Texas Commission on Environmental Quality (TCEQ) approved operator training course or process. We are an approved TCEQ Class A and Class B Training Provider – 360Training.com Reseller. We offer online UST operator training in Texas for: Abilene, Amarillo, Arlington, Austin, Bastrop, Brownsville, Beaumont, Corpus Christi, Dallas, Denton, De Soto, El Paso, Fort Worth, Gainsville, Garland, Grand Prarie, Irving, Killeen, Houston, Laredo, McAllen, Mesquite, Midland, Mineral Wells, New Braunfels, North Richland Hills, Odessa, Pasadena, Pearland, Plano, Port Aransas, Richardson, Round Rock, San Antonio, San Marcos, Schertz, Tyler, Waco, Wichita Falls – Bell County, Bexar County, Comal County, Hays County, Harris County, San Patricio County, Tarrant County, Travis County, Witchita County, and Williamson County, and many more! Abilene, Amarillo, Arlington, Austin, Bastrop, Brownsville, Beaumont, Corpus Christi, Dallas, Denton, De Soto, El Paso, Fort Worth, Gainsville, Garland, Grand Prarie, Irving, Killeen, Houston, Laredo, McAllen, Mesquite, Midland, Mineral Wells, New Braunfels, North Richland Hills, Odessa, Pasadena, Pearland, Plano, Port Aransas, Richardson, Round Rock, San Antonio, San Marcos, Schertz, Tyler, Waco, Wichita Falls – Bell County, Bexar County, Comal County, Hays County, Harris County, San Patricio County, Tarrant County, Travis County, Witchita County, and Williamson County, and many more!